Download "The Mean and the Median"
Volume of Rectangular Prisms Objective To provide experiences with using a formula for the volume of rectangular prisms. Baseball Multiplication Objective To practice multiplication facts. Volume of Right Prisms Objective To provide experiences with using a formula for the volume of right prisms. 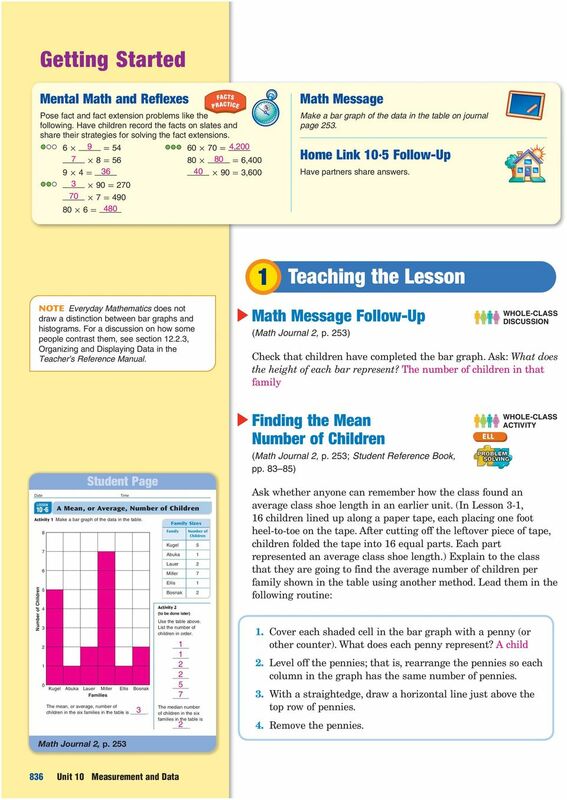 Doubles Facts Objective To review and provide practice for doubles facts. The Inch. Objectives To introduce the inch as a standard unit of length; and to provide practice measuring to the nearest inch. 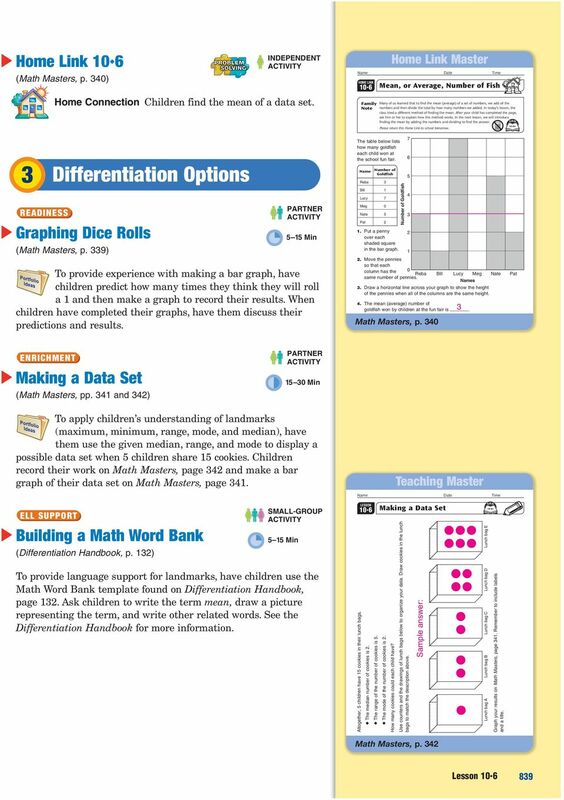 Fractions and Decimals Objectives To provide experience with renaming fractions as decimals and decimals as fractions; and to develop an understanding of the relationship between fractions and division. The Median. 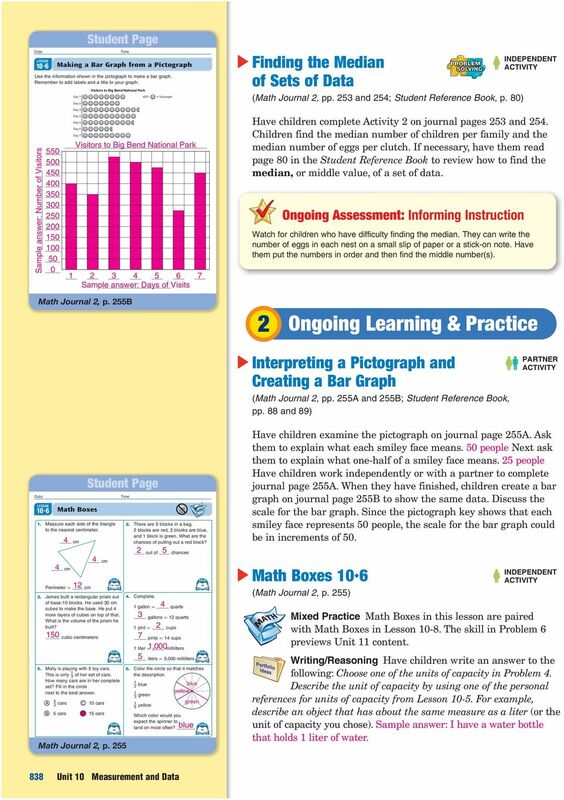 Objectives To review how to display a set of data with a line plot; and to review how to find the median of a set of data. 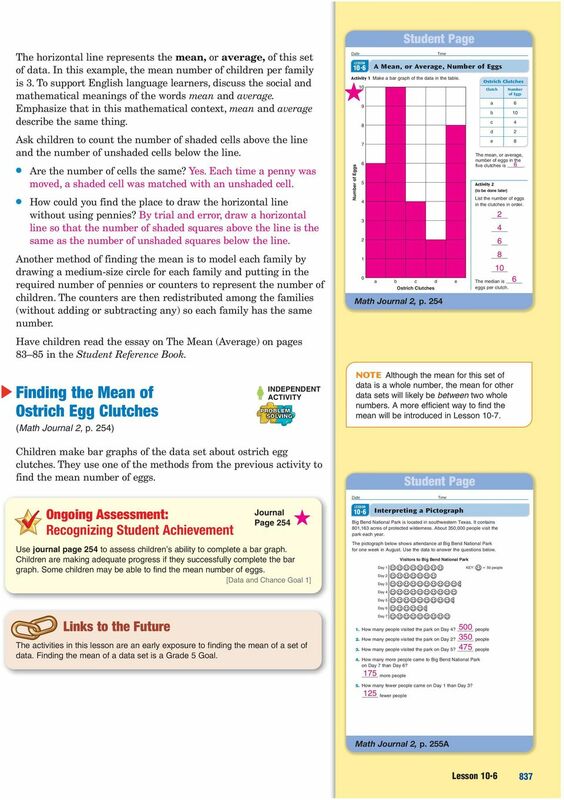 Number Models for Area Objectives To guide children as they develop the concept of area by measuring with identical squares; and to demonstrate how to calculate the area of rectangles using number models. Comparing Fractions Objective To provide practice ordering sets of fractions. Factor Trees. Objective To provide experiences with finding the greatest common factor and the least common multiple of two numbers. Simplifying Expressions: Combining Like Terms Objective To simplify algebraic expressions by combining like terms. Getting Started Mental Math and Reflexes Children solve division number stories. They write answers on slates and explain their strategies to the class. Provide counters. There are children in the class. Change Number Stories Objective To guide children as they use change diagrams to help solve change number stories. Objectives To review making ballpark estimates; and to review the counting-up and trade-first subtraction algorithms. materials. materials. Properties of Polygons Objective To explore the geometric properties of polygons. Addition and Subtraction of Decimals Objective To add, subtract, and round decimals. Formula for the Area of a Triangle Objective To guide the development and use of a formula for the area of a triangle. Objective To review the partial-quotients division algorithm with whole numbers. 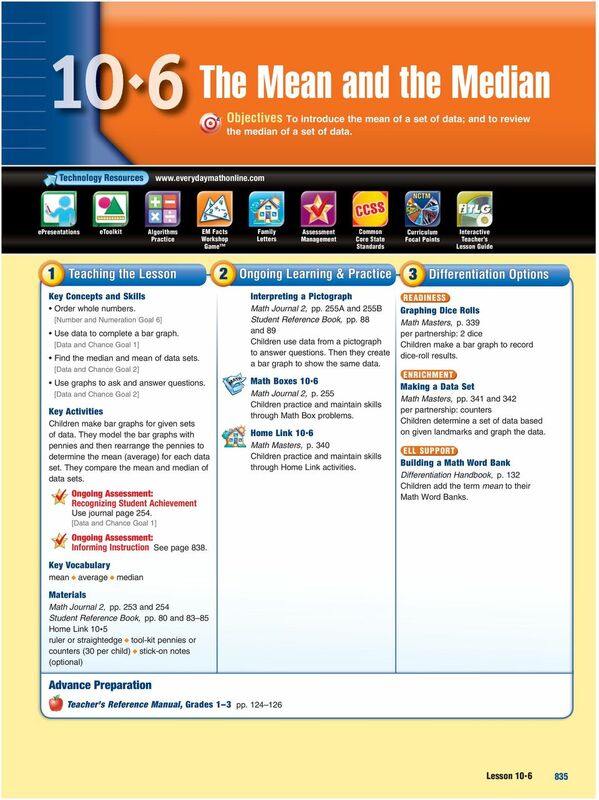 Copyright 2008 [SingaporeMath.com Inc.]. All rights reserved. Objective To introduce and practice the partial-sums addition algorithm. 1 How do I make a number?